Start shopping for a repair facility before you need one. Ask friends and associates for recommendations; consult local consumer organizations. Arrange for alternate transportation in advance so you will not feel forced to choose a shop based solely on location. Look for a neat, well-organized facility, with vehicles in the parking lot equal in value to your own and modern equipment in the service bays. 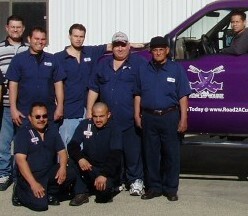 Look for a courteous staff, with a service writer willing to answer all of your questions. Look for policies regarding labor rates, diagnostic fees, guarantees, acceptable methods of payment, etc. Ask if the repair facility specializes or if it usually handles your type of repair work. Look for signs of professionalism in the customer service area such as civic, community, or customer service awards. Look for evidence of qualified technicians: trade school diplomas, certificates of advanced course work, and certification by ASE. Reward good service with repeat business and customer loyalty. Please take a few minutes to check out our online site so you can find out what makes Affordable Transmission and Auto Repair Center the right choice for transmission repair, service and or rebuilding, auto repair, service and or manufacturers recommended maintenance in order to keep your vehicle safe and reliable.. Don't hesitate to contact us with any concerns you have about the way your vehicle is performing cause that's what were here for, it's what we do! First of all not all vehicle concerns have to be such a major ordeal and I hope to explain this to you in a couple short paragraphs so that you will begin to get the help you need. Our most common request for diagnostic testing is due to the "Check Engine Light" (service engine soon) coming on. Our licensed certified technicians are trained to use todays diagnostic equipment in order to properly troubleshoot todays modern computer systems. 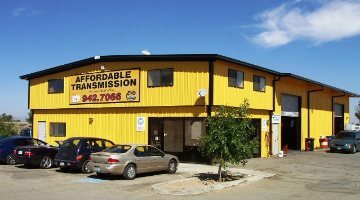 Many of those who bring their vehicle to our Affordable Transmission and Auto Repair Center are both surprised and relieved to learn that a problem with their vehicle transmission, engine, computer system, electrical system, cooling system, heating and air conditioning system, brake (ABS system), etc... does not necessarily mean a lot of money needs to be spent to repair it. In fact there are a multitude of problems that can be solved without having to remove the engine or transmission from a vehicle. The following example will be for Chrysler cars from 1990 - present. Your driving along and without any warning you feel a harsh abrupt up or downshift depending on the current speed and you come to a stop only to find the check engine light has come on and when you try to accelerate your vehicle feels like their is no power. This is due to your vehicles PCM putting the transmission into limp mode. You know like when you sprain your ankle? Moral of this story is not all repairs have to be major where as they may be as simplified as something electrical out of range making the repair needed minor. The contents of this site may not be republished, reprinted, rewritten or recirculated without written permission.